I was at our neighborhood Walmart store today doing my weekly grocery and to my surprise I saw packages of cleaned chicken feet (paa nang manok) so I bought me a pack. 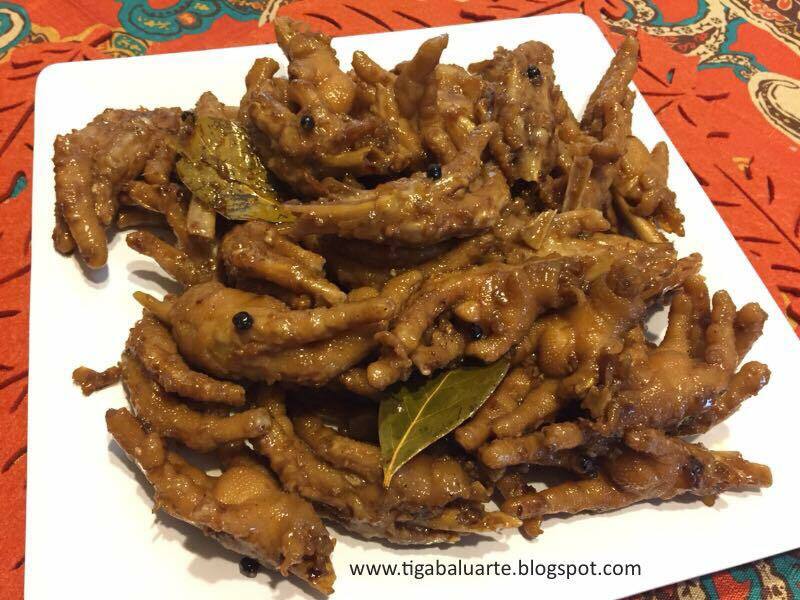 I admit I am not a big fan of chicken feet but why not give it a try. This recipe is Spicy Garlicky Adobo with a Twist. 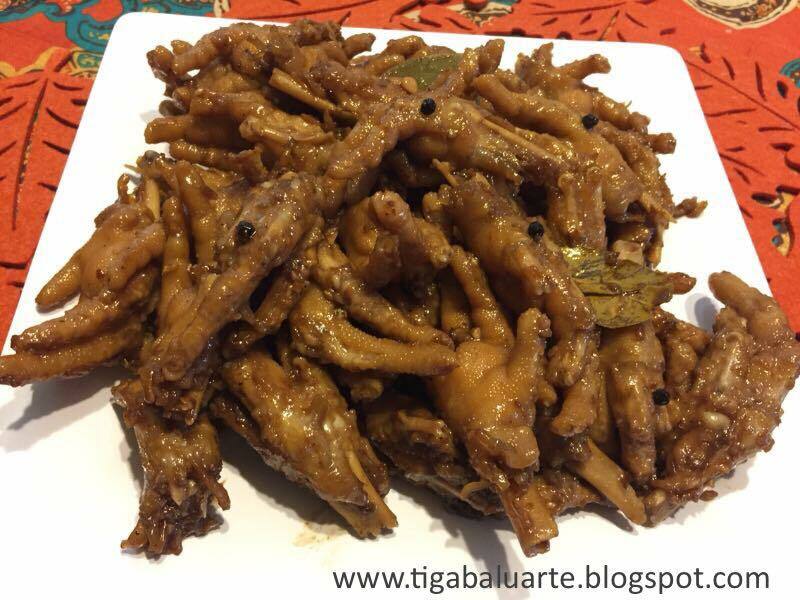 Place chicken feet, thumb size sliced ginger, few pieced of peppercorn and salt in a pressure cooker. Add enough amount of needed to properly cook the chicken feet. Start the pressure cooker and remove from heat when the valve opens or blows a whistle. Allow it to cool before removing the chicken feet from the pot and set aside. Mix vinegar, soy sauce, oyster sauce and sugar in a bowl, mix well and set aside. Using a wok or a deep pan saute a thumb size minced ginger and minced garlic in cooking oil till caramelized. Add chicken feet and stir fry till chicken feet turns brown. Add whole pepper corn, crushed chili peppers, bay leaves and stir. Add vinegar mixture and bring to a quick boil in medium heat. Lower heat and simmer while stirring every few minutes allowing the sauce to thicken till almost dry. Remove from heat, transfer in a serving dish, serve and enjoy!